The group have grasped a different improvising opportunity, juggling audaciously with the styles of jazz, world and popular music of the past half-century as if their typical riffs and themes were phrases in a shapely but ever-changing solo. Three-time Grammy Award Winning jazz and funk collective Snarky Puppy formed in 2004, shaking up the underground contemporary jazz scene with a bold, new flavor of funk fusion that saw them rise swiftly to the upper echelons of the music world. Don't miss them as they head out on a brand new tour that's set to feature the sounds of their newest release from March 2019! The celebrated instrumental outfit features an ever-revolving roster of highly talented musicians that have performed with the likes of Erykah Badu, Justin Timberlake, and Marcus Miller, but remains centered around bandleader, MD and bass wizard Michael League's otherworldly compositions. About Madison Theatre: We are an independent show guide not a venue or show. We sell primary, discount and resale tickets and prices may be above or below face value. 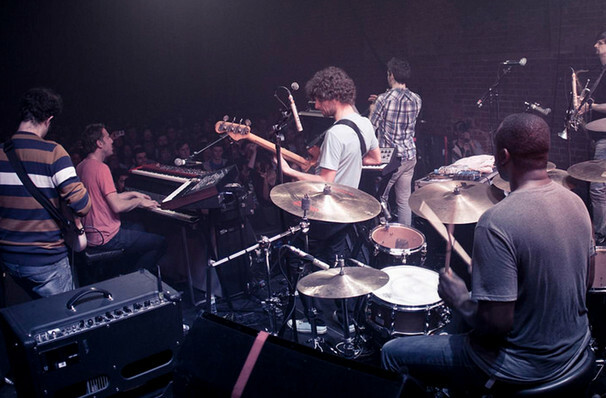 Seen Snarky Puppy? Loved it? Hated it? Help your fellow Madison Theatre visitors by leaving the first review! Sound good to you? 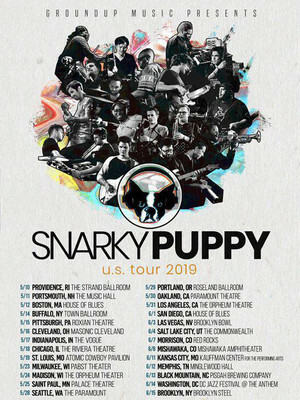 Share this page on social media and let your friends know about Snarky Puppy at Orpheum Theatre. Please note: The term Orpheum Theatre and/or Snarky Puppy as well as all associated graphics, logos, and/or other trademarks, tradenames or copyrights are the property of the Orpheum Theatre and/or Snarky Puppy and are used herein for factual descriptive purposes only. We are in no way associated with or authorized by the Orpheum Theatre and/or Snarky Puppy and neither that entity nor any of its affiliates have licensed or endorsed us to sell tickets, goods and or services in conjunction with their events.